The written word has always fascinated me in a way that I possibly don’t even understand yet myself. I remember as a young lad in school that I really enjoyed history, although I must confess, this interest started when I got my first copy of Age of Empires II: The age of Kings, a computer game where you played historical scenarios and learned the historical context around which they happened; a very engaging way to learn indeed. What does this have to do with coffee? Plain and simple – I have no idea! However, this interest inevitably led me, likewise, to have an interest in what people back then were writing about: their beliefs, stories and mythologies. So, a very interesting era for me was the 17th century when the enlightenment took hold and revolutionised our world forever, but a very subtle factor of that era that I think gets overlooked quite easily, is the language of that time and how people spoke and in this particular case: English. English, in my humble opinion and many others I’m sure would agree, of the 17th century was at the height of its beauty and eloquence and would beat any hashtag or literary trend we have now: ANY DAY! It’s also the era of spoken English in which Shakespeare wrote his plays and even now still considered masterpieces. So fast-forwarding to now, having recently started my journey in hospitality and particularly the coffee scene, I jumped at the opportunity when it arose to take forward a project that involved crafting cold brew coffee and also to develop its own labelling. I instantly started thinking about the branding and from what inspiration I would draw from. Obviously, I went for the amazing gift we have as humans, to communicate with speech, as the inspiration. Any language of course, is just as amazing as the next but it just so happens that we live in an English speaking country. At least, for the most part that is. After pondering on the name of the brand for a bit, I wanted to come up with something that invoked action, as the Merriam-Webster dictionary states, “…expressing some relation of manner or quality, place, time, degree, number…” (Adverb. (n.d.). Retrieved 14 March, 2018 from https://www.merriam-webster.com/dictionary/adverb). And so, Henceforth was born! I loved the fact that one word encapsulated so many things at once but also made a call to action. Henceforth simply means from this point on (Merriam-Webster dictionary). Furthermore, other elements that fit well with Henceforth were a compass and finally – THE COFFEE! With all the elements together, the concept I hoped to convey through the labelling was that ‘from this point onwards (Henceforth) having a cold brew of your choice (THE COFFEE!) will direct your day (the compass) no matter what errand you’re on (YOU the coffee drinker). So with this branding personality in place and the help of very talented people that I consulted for help on a regular basis and will continue to do as the brand develops, and without who’s help wouldn’t have made it possible, we have arrived at what is only the starting point of something special. FIN! We surprised 3 local Bundaberg businesses with some of our delicious, house-made gelato. What’s even better, we made it using their very own produce! 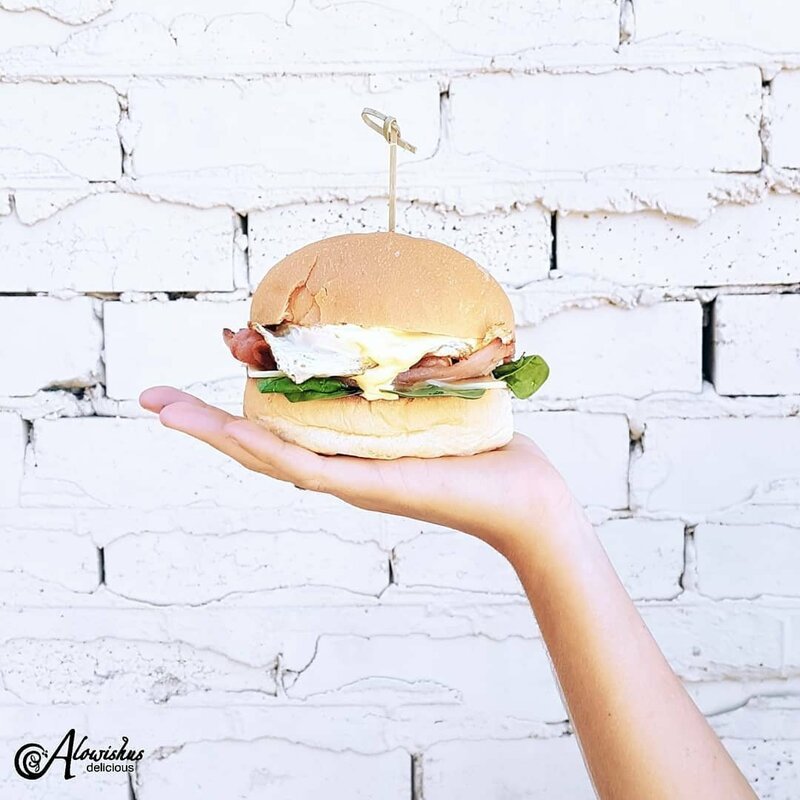 Cafes Bundaberg – A big Thank You to our awesome Social Media Manager Olivia Harvey, due to her efforts, Alowishus Delicious has been voted as one of 5 local cafes worth instagramming about. Ice-cream for breakfast? Yes, please! 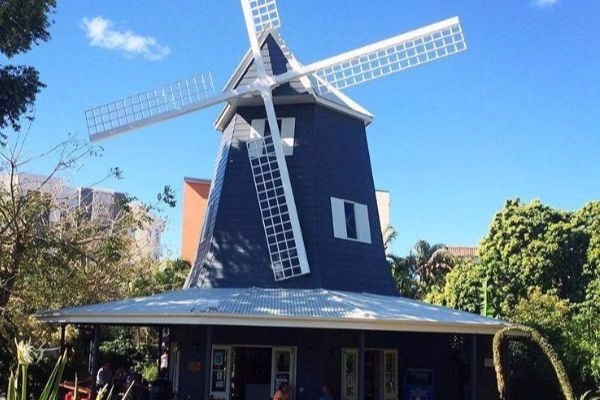 Located in Bargara this picturesque café is worth an Instagram post without even going in, however, if you do you will surely be rewarded. They have delicious baked goods, acai bowls and incredible breakfasts. 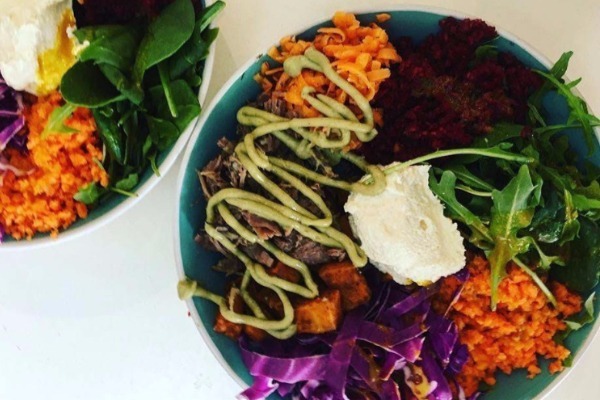 If you are looking for something fresh, light and clean you should check out Nourish Café. 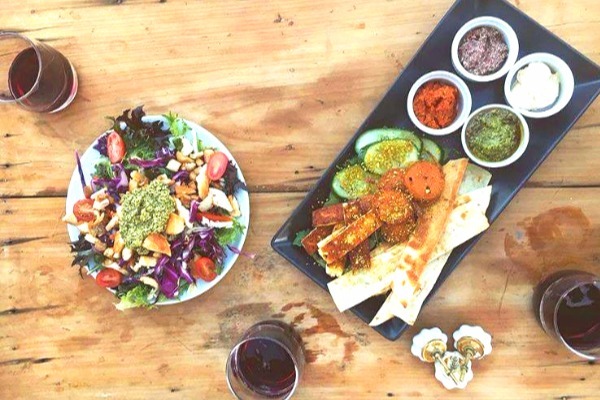 Offering delectable meals made from whole foods and local produce, most noteworthy, they have in-house made bread, and cooking workshops. Brisbane Times Good Food Guide People’s Choice Winners 2016 local café Indulge. They create their menu around their motto; ‘we know where it came from and how it was made’. Sourcing fresh, in-season produce daily from local growers and producers making them a second-to-none dining spot for locals and visitors alike. Located at Burnett Heads is a small café whose boho vibes can be felt before you even enter the door. If you are in the mood to relax, wear a long floral skirt and sip chai lattes, then this is the place to go. Besides having the best Instagram game in Bundaberg this alleyway coffee shop is a favourite among locals. 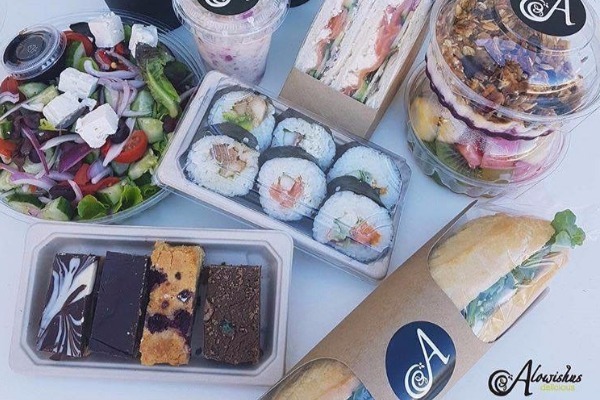 Particularly for their coffee, fresh takeaway lunch options and quality catch ups. Don’t be afraid to head down the alley and see their quirky table ‘numbers’! The number of cafes Bundaberg has to offer is growing every year and we are proud to be amongst your favourite ones. Our passion for fresh, local produce has led us to work with some amazing local farmers, just like Tinaberries, right here in the Bundaberg Region. During the Bundy season, we source all our strawberries from their local farm for use in our delicious sorbet and gelato. At Alowishus, we believe that buying local produce doesn’t only help our community grow but it tastes better, too. This is because it can be picked at peak ripeness to ensure the absolute best quality and flavour. We like to know where our food comes from and love to share the stories of the people who grow it with our customers. We are truly blessed for having so much amazing produce available right here in Bundy. The Bundaberg Region accounts for around 25% of all of Australia’s produce. Thank you, Bundaberg! Thank you, Tinaberries! Tip: Head over to Tinaberries website for some delicious strawberry recipes. To maximise flavour strawberries should be served at room temperature. Take them out of the fridge one hour before serving. Too much water will damage the soft fruit and encourage breakdown. Only wash berries immediately prior to use. The hull or calyx is the green leafy top of the strawberry, which is generally removed before cooking or serving. Angle a small sharp knife and cut, in a circular motion, around the green leafy top of the strawberry and into the pale flesh directly underneath.Remove the hull and discard. Wash strawberries under cold running water before using. Bundaberg people truly have put their money where their mouth is with their support behind a local Pay It Forward initiative. More than 530 sandwich vouchers have been purchased and handed out to people who are homeless or struggling between pay cheques each week. In November 2015 Alowishus Delicious and IMPACT’s Street Outreach Service teamed up to help those in need. Owners of Alowishus, Tracey and Michael McPhee, promote a strong ethos of community support and so the Pay It Forward voucher ingenuity was inevitable. Alowishus suggest just a $4 donation, which equates to one sandwich or toastie voucher, they subsidise the remaining cost of any sandwich. The vouchers are then handed out to people that the Street Outreach volunteers meet. From the 539 vouchers already paid forward, 388 have been bought in store, 27 have been purchased online, 84 came via donations from Moncrieff Entertainment Centre’s fundraising efforts and Alowishus have put forward a further 40 after the national CafeSmart event in August. IMPACT Street Outreach coordinator Cristel Simmonds says it is so much more than just a sandwich to the people who receive them. “Yes, it is a meal, often the only one for some people, but it means a lot more to them than just food in the long run. They have a chance to connect and feel part of their community, they get to attend a popular café, they get to communicate with staff where they are not judged, where they are accepted. Many people who use these vouchers are lonely and socially isolated, they benefit greatly from that basic interaction. Something as simple as a sandwich can mean so much more to people who have less than most.” Recipients of the vouchers can order straight off the menu and are welcome to dine in or take away, which ever they are most comfortable with. The Outreach Van is a vital community service that offers people a safe and trusted contact and gateway to other services and advocacy advice. Volunteers help deliver the service twice a week in Bundaberg with the aim of connection, conversation, and compassion. The van carries Street Swags, blankets, warm drinks, vouchers and essential items such as toiletries and sanitary items that can all make someone more comfortable, especially if they’re sleeping rough. Culinary tourism is at the heart of Bundaberg and Alana Lowes, The Flying Foodie, ate and drank her way around the region, meeting food producers, restaurateurs and discovered Bundaberg is the heart of Australia’s fresh produce. It might well have been the cane sugar farming which placed Bundaberg on the food map, but these days, the fertile soil, abundance of sunshine and innovative farmers means Bundaberg is now known for being at the heart of fresh fruit and vegetables in Australia. I was lucky enough to get up close and personal out on the farms and in the café’s to taste, chat and laugh with the best of Bundaberg’s food personalities. One of the newest food experiences to bloom in Bundaberg is the Bundy Cooks Tours. More than just a food tour, owner, Suzie Clarke, has created a true farm gate to plate exploration. The tour provides a view into the daily life of a producer and an insight into the history of farming families in the region. Anthony Rehbein, 4th generation farmer on the Hummock in Bundaberg, grows some of the country’s best ginger at Bundaginga Farm. “Perfect growing conditions and processing within hours after being handpicked in the key to the freshest flavour,” boasts Anthony. Acknowledging diversification is the key in farming, Anthony has introduced a variety of ginger products. “Our pickled ginger is made in February when we pick the new season ginger,” Anthony explains. The pickled ginger is available to purchase along with their ground and sweet ginger bites. I suggest packing an extra suitcase to take home your Bundy delights, I did! From ginger to sweet potato, the Bundy Cooks Tour continues. The next time you purchase a sweet potato it has most likely come from Bundaberg where 80% of Australia’s sweet potatoes are grown. Linda and Darren Zucker are also 4th generation farmers in Bundaberg with their families being some of the original settlers in the region. The rich red volcanic soil makes it ideal for growing sweet potatoes, some of the biggest I have ever seen. Our tour takes us through the washing and packing shed, a vibrant and energetic place, just one part of the food chain in order to get fresh produce to market. I love to see Linda’s hands and jeans are stained with the colour of the land, reminding us we are standing on top of soil growing some of the country’s best tasting produce. Tinaberries is our final stop on our Bundy Cooks Tour. Producer of delicious, rich, ripe strawberries and passionfruit, Tina McPherson, is everything you dream a strawberry farmer is. Warm, bubbly with a splash of strawberry pink lipstick, Tina is passionate about supplying locals with the very best strawberries in Australia. “Large supermarkets require strawberries to be picked partly white which means they won’t ever get any sweeter, we pick fully ripe red,” she explains. “They are perfectly sweet, ripe and juicy,” beams Tina. Tina is absolutely correct, my first bite into the crimson red flesh results in juicy dribbles down the chin. The best strawberry I have ever tasted. Bundaberg has embraced its farming history and premium produce with many of the café’s and food spots around town providing a real paddock to plate experience. Standing behind the motto, “we know where it came from and how it was made”, Amanda Hinds, co-owner and head chef of Indulge Café, happily obsessively sources and cooks with the best of the in-season local ingredients. Spoilt for choice, Amanda’s menu lists items such as “Eden Farms raspberry and coconut bread with Brucie’s passionfruit curd” or “crisp Hummock Farms potato cake topped with Simpson Farms Avocado or my breakfast of “Burnett Heads spanner crab, scallops and Tu’s tiger prawn omlette with local XO sauce, lemon and miso butter sauce and Bundaginger pickled baby ginger. Speaking of avocados, they will soon be out of season up in Bundaberg and Amanda will for the first time be removing them from the menu the moment she can’t source any local avocados. “We serve everything in season, as soon as it isn’t available, we take it off the menu,” Amanda claims. Trust is the key ingredient explains Amanda, her customers trust her to chop and change her menu with the season and with the produce literally dropped at her back door. “Farmers are knocking on the back door of the kitchen all the time with boxes of fresh produce straight from the land”, beams Amanda. “We also make all our own pickles and preserves from local produce,” she says as she places two jars in my lap, preserved tropical peaches and preserved blueberries. Looks like I’m taking a little piece of Bundy back home with me to enjoy! At the quiet end of town, Bundy Pies and Patisserie has had a recent makeover and is bringing traditional French sweets to the country. Newest Bundaberg resident, Adrien Marcinowski, is a French pastry chef creating delicate desserts such as strawberry frasier cake, eclairs and almond croissants. Alowishus Delicious delivers superb Italian style gelato to the main street of Bundaberg. Libby, one of the Gelaticians (yes there is such a thing!) passionately explains to us she has been testing new flavours using local fruits. She recently acquired a large box of passionfruits and exciting reveals the passionfruit gelato which is creamy, lightly sweetened and tangy, bursting with passionfruit flavour. Alowishus blends Tinaberries strawberries to a pink hued ice-cream and the salted caramel Bundaberg Rum gelato is an absolute standout. Speaking of Rum, the iconic Bundaberg Rum Distillery has opened their new visitors centre. Housed in the recently decommissioned Bonds sheds, the historic buildings tell the tale of a city known for it rum distillery. Rumbling cane sugar trains, move slowly along the edge of the property and strong scents of molasses make you feel like you are part of the daily production of the golden liquor. For the ultimate Bundaberg Rum experience, sign up to the one-of-a-kind Blend Your Own Rum tour. Immerse yourself and see, touch, smell and taste your way through your tour, before spending time with your expert guides teaching you about the art of tasting rum – straight from the barrel. Pick your favourites and make your perfect blend of the Master Distillers range to take home. Alana Lowes was a guest of Creative Regions, Bundaberg and Virgin Australia and stayed at The Point Resort Bagara. Across the country there are farmers, butchers, chefs and winemakers grabbing every opportunity to connect with food lovers and share their knowledge and their produce. The food bowls – those regions producing fruit, vegetables, fish, meat and wine are now understanding the economic benefits of food tourism. Queensland plays an enormous role in Australia’s daily diet as the number one vegie producer and the country’s second largest fruit producer. Bundaberg Winterfeast is a grass roots (no pun intended) festival. With keen backing by Bundaberg North Burnett Tourism and ardent locals like Indulge Café’s Amanda and Larry Hinds the Festival looks to be even bigger in 2017. In our first part on Bundaberg Winterfeast we introduced some of the tireless individuals from the region that are putting Bundy on the map as a ‘food’ destination. Here in our second part we highlight growers, café owners, butchers and graziers and Bundaberg’s first cook’s tour. Tina and Bruce McPherson worked and travelled extensively overseas with their young family before choosing to settle in the fertile fields that surround Bundaberg. They were attracted to the combination of the quintessential Queensland lifestyle and the Coral Coast’s enviable ability to grow fruit and vegetables of superior quality out of season. Tinaberries fruit is mostly sent to Sydney and Melbourne where the market craves the large, sweet mid-season Camarosa and the bright red early-season Festival. They also grow the sweetest passionfruit. They are passionate about sustainable farming and companion plant marigolds with their berry plants as well as other natural biological pest controls. Tracey and Michael McPhee weren’t always in the food business. But eventually their love of their hometown and the lack of coffee after 2pm led them to opening their popular café Alowishus Delicious in December 2011. Tracey had a ‘build it and they will come’ attitude and indeed they have been busy ever since. As one of Bundy’s best brekkie spots you can go the full eggs benny with a choice of local Barritts leg ham, smoked salmon or bacon. 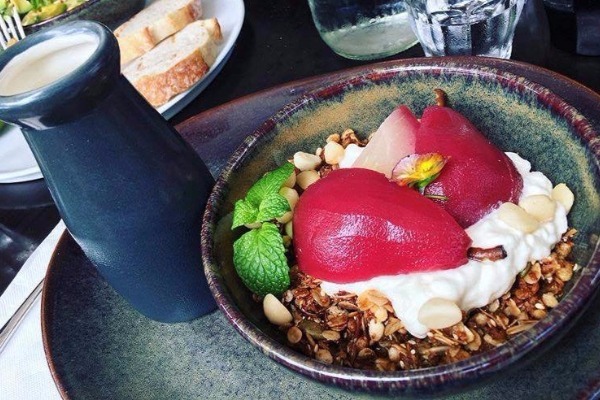 You can do the Breakfast Stack or go for a lighter option of house made granola with fresh seasonal fruit or the perennial favourite the smashed avo on toast with good Greek fetta. Bundaberg now has a more sophisticated solution for drinks at any function – The Roll ‘n Banks Bar. This very pretty, bar in a revamped vintage caravan is the brainchild of Cortney Roll and Belinda Banks. If you saw the recent ABC News story on Rob and Sarah Cook you will already know about this extraordinary couple behind Bundaberg’s only boutique butcher. Despite a helicopter accident that left Rob, champion bull rider and cattleman a quadriplegic, the couple have continued raising cattle. Now they farm at Bucca near Bundaberg where they raise grass-fed Brangas who are fed a daily ration of hydroponically and organically grown sprouted barley. The cattle are fed a sweet potato, molasses and sprouted barley mash that they say produce better, healthier beef. The nutritional value of the meat is exceptional with less marbling and guaranteed tenderness. Linda Vickers is another Bundaberg local who took the plunge and went for a real tree change. 700 Tahitian Lime trees to be exact. Although the season is traditionally, November to July, Bundaberg’s ideal climate means the season is extended to most of the year. And if you’re not a local and want to learn more about this amazing produce and the hard-working farmers and growers, Suzie Clarke will take you on an adventure you won’t soon forget. TML was part of the inaugural Cooks Tour during Winterfeast 2016. Suzie now takes groups on tours to discover the vegies, fruits and meats of the region but most importantly the people. There isn’t much about Bundaberg food that Suzie (a school teacher by trade and now a Cordon Bleu graduate) can’t tell you. Have a question about preparation or cooking and Suzie has the answer. In Bundaberg you can use words like terroir and provenance to explain how food is bringing a renewed vigour to the region. It’s also the people. Their vision sees Bundaberg leading the way in Queensland to establish culinary tourism as one more reason to spend some time in the Sunshine State. Liz Bond comes from a PR background and loves fine wine, great food and rewarding travel – all the magnificent things in life. She prides herself in an innate ability to meet famous celebrities at baggage carousels.